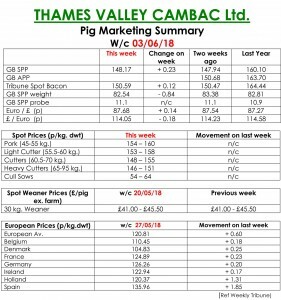 The change in the month saw little change in market fortunes, according to this week’s Pig Marketing Summary from Thames Valley Cambac. The Summary said that supply remained extremely tight, with poor growth rates being reported widely. Most of the major processors requested their full contract commitments, but numbers were shy in many cases. Factory contract contributions stood on, but most contract Q prices increased due to other market fundamentals. The fresh meat market was lively, off the back of a good Bank Holiday trade, but batches of good quality cutters were scarce. The cull sow market stood on pricewise with good demand seen from the exporters. In Europe, prices were generally similar. The only movers were Holland who were playing catch up with the German increase from the week before, and Spain responding to better demand from the influx of holidaymakers. Prices in sterling were enhanced slightly by a stronger Euro which ended the week up 0.14p at 87.68p. The Weaner Marketing Summary reported that demand was steady due to the continuing problems of yard availability. Fatteners were also cautious as to the potential market when the pigs come to finished weight. Supply of both 7kg weaners and 30kg stores continued to be ample. 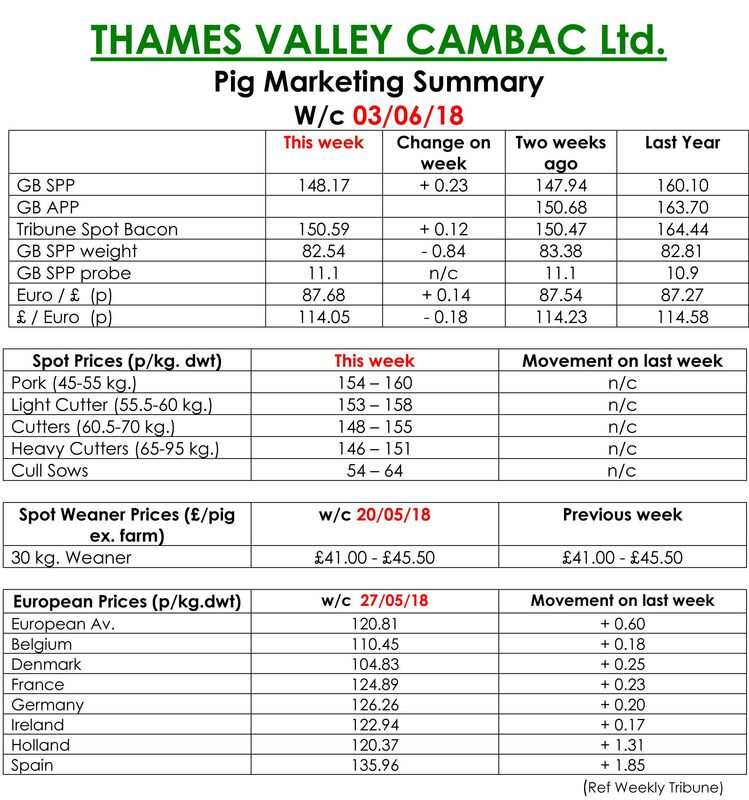 The prices announced by the AHDB saw the weighted average for a 30kg pig fall by £1.01 to £52.30 and the weighted average for a 7kg rise by £1.01 to £38.07.